Though Tennisa Pack and Jessica Alfrey both earned their Associate’s degrees in nursing from Southern West Virginia Community and Technical College after following very different paths, they are alike when it comes to how much the Nurse Extern Program at Tug Valley ARH Regional Medical Center helped in their pursuit to becoming registered nurses (RNs). Ironically, after completing their studies, they both landed in the same Intensive Care Unit (ICU) at the hospital, providing highly skilled treatment to some of the most challenging patients. 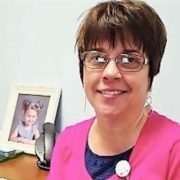 “I became a licensed practical nurse (LPN) in 2001 and worked in a nursing home when my children were young and needed me, so I didn’t get my RN degree then,” she explained. “The children don’t need me as much now because they are 24, 22 and 12. I started my pursuit to becoming an RN in 2015 and completed it in 2017.” Along the way she never lost her nurturing tendencies and was voted “Most Caring” by the other students in her class at Southern. A variety of new programs are being implemented for frontline nurses at the 11 Appalachian Regional Healthcare (ARH) hospitals to enhance the level of patient care. “Nurses are the heart of patient care and we want to make sure they have every tool at their disposal to deliver the best possible care,” said Joe Grossman, president and CEO of ARH, about the new initiatives. “It starts as a dual endeavor,” said Dee Hughes, community chief nursing officer (CCNO) at Harlan ARH Hospital. Hughes notes that Harlan ARH has always been extremely community focused, but she says things have changed in the area, forcing the healthcare system to view how patients receive care and make adjustments to better serve the community. Loss of jobs, drug addiction and more screening as part of the Affordable Care Act is just the beginning. According to Hughes, there are a number of initiatives being rolled out system-wide that are reshaping the way care is given. This includes employee training, evaluating the best way to staff and retain top employees, a multi-pronged rewards program, improved communication and solid leadership. CLICK HERE to read more the full story at HarlanDaily.com.